There has been a lot of cryptocurrency craze in the last year. Especially with the market cap of all coins increasing 50 times throughout 2017. People are no longer relying on traditional investments but want a quick way of making money. New investor money flooding the space has lead to massive price fluctuations and 2018 will be no exception. The first currency to garner a lot of interest was Bitcoin and has been facing a very massive growth. Despite high volatility, its value has been growing with time. As per December 2015 it had a value of $440, in July 2017 it had a value of $26000 and as per November it had a value of $9500. Now it has an even higher value. There are many other rivals to Bitcoin that are also performing well such as Ethereum. Many have moved their money to Ethereum because of its technology and adaptability. This has lead to massive growth for Ethereum making it the #2 coin by market cap. As much as ICOs have contributed to the growth of Ethereum, it is not the only use for Ethereum. It is also used as a speculative currency as a storage of value. This has seen a growth in the value of Ethereum making it the primary rival for Bitcoin. What awaits Ethereum in 2018? 2017 was a good year for Ethereum despite volatility which is common with cryptocurrencies. It has high volatility in that it has the potential of losing up to 25% of its value in just a day and gains the value back the next day. The fact that the value of Ethereum grew from $10 from January 2017 to around $750 by the end of December 2017 means that there are high chances that it will break the $2500 by the end of 2018. The current supply of Ether that is in the market is 96 million which means that there is a likelihood that the value will remain around the same level as much as the number is likely to increase with time. The Casper update is also likely to have an effect on the price of Ethereum as there will be a transformation from proof of work to proof of stake making it easy to buy it and also making it easier for miners since they will be rewarded according to the stakes they have. One major advantage of Ethereum over Bitcoin is the fact that it uses smart contracts. Smart contracts serve a lot of advantages for a business since one does not need human intervention as a contract can be executed as soon as the terms of the contract are met. With the Ethereum blockchain, developers have the ability to build decentralized apps (dapps) which makes it to be on high demand to developers hence growth in value of the currency. There are currently hundreds of dapps that are being developed every day that use the Ethereum blockchain. There are high chances that the demand of Ether will increase with time. This may be due to the fact that its blockchain is used in the development of dapps or the fact that it may be an investment vehicle hence used as storage of value. For many crypto enthusiasts, this may be hard to believe considering that Bitcoin is currently performing very well and has caused so much bubble in 2017. Being hard to believe may be justifiable depending on whether you choose to look at it on a short term or a long-term basis. When it comes to a short term basis, Bitcoin takes the crown and hence investing in Bitcoin will have a higher return on investment as compared to Ether. That explains why Bitcoin has been aggressively been embraced by short term investors. Bitcoin has also been used longer than Bitcoin considering Bitcoin has been around from 2009 while Ether has been around from 2015. There is however chances that the market capitalization of Ethereum will overtake that of Bitcoin by the end of the year according to the CEO of Hedge fund Olaf Carlson. That may lead to massive growth in the value of Ethereum. The chances of high market capitalization can be brought about by the evidence of Ether growing for up to 20 times in a period of 4 months as compared to Bitcoin that took a year and a half to grow for up to 8.5 times. Because of the reason of smart contracts and dapps, Bitcoin has lost a lot of its market share to Ethereum especially in the last four months. Initially a large percent of the total amount of money invested in cryptocurrency went to Bitcoin. That is no longer the case as the percentage dropped to up to 45% from 90% which was the initial amount. The fact that Ethereum uses the smart contract technology, it has spurred a lot of interest from corporates and financial institutions since it is more applicable when it comes to real world applications. This has led to a rise in interest in Ethereum which will lead to a growth in value of the currency and surpass the value of Bitcoin in the long-term considering that Bitcoin does not have the smart contract concept. There are also new coalitions and alliances that will aid in the growth of Ethereum such as the Enterprise Ethereum Alliance (EEA) which is an alliance with several firms, up to 86 firms with the inclusion of JP Morgan and Microsoft. The kinds of firms that are backing Ethereum have an influence on the success of the currency since their endorsements are likely to go a long way. Ethereum just like Bitcoin will not have a smooth sail. The fact that it will have increased number of users, its blockchain may become jammed up leading to scalability issues like the one that faced Bitcoin blockchain. With scalability issues it means that the transaction time will be longer and that may lead to a fork which may also affect the currency. With long transaction time it means that users will have to pay a higher transaction fee for their transactions to be prioritized. That may lead to a drop in the number of users which will lead to a drop in the value of the currency. There is also a possibility that the technology behind Ether may be duplicated considering there are a lot of changes in the cryptocurrency space every day. Just the same way different cryptocurrencies are formed every day is the same way different blockchain can be formed. This therefore means that you cannot count 100% on a certain currency as another currency may come up that is even better and divert all the attention. The crypto-currency technology may still pose as a challenge because there are still some countries that have not embraced cryptocurrencies. Due to the fact that there are some ICOs and exchanges that are banned in some countries for the fear of association of cryptocurrencies with illegal activities means that conventional currencies still rule. Since Bitcoin is a pioneer in the crypto space means that whatever happens to Bitcoin is likely to have adverse effects on other cryptocurrencies including Ether. As much as it may be hard to accept, in a way Bitcoin still rules. There are other cryptocurrencies that may come up better than Ether that may give ether competition and take up market capitalization. For example as from January 2018, Ripple got a stronger market capitalization and replaced Ether from the second place making Ether the third. There are also other currencies that are more stable and are likely to have a stable growth as compared to Ether such as Stellar and IOTA. 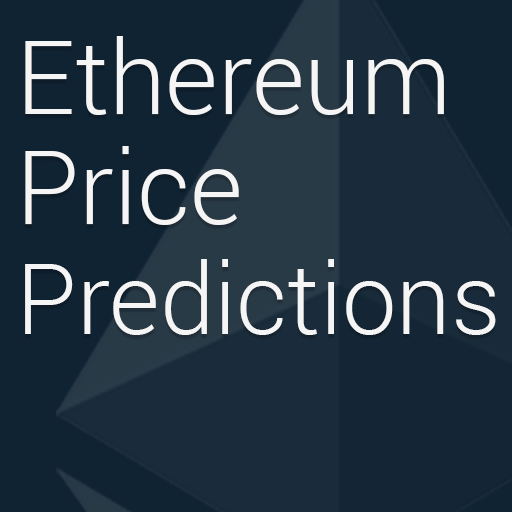 It is hard to do an exact price prediction for ether in 2018 as there are a lot of uncertainties in the crypto space. If we base on the growth rate last year alone, then there is a high likelihood of the price rising but there are also many other factors that come into play.